Stoicism was developed in Greece from the end of the fourth century b.c. While the philosophical doctrine encompassed intellectual fields such as logic and physics, it was the ethical teaching of Stoicism that had the most appeal in Rome, where its influence continued to grow under the Empire. Central to the Stoic position was fate, which was identified with Jupiter. Everything in our lives is predestined, and a good Stoic accepted this with good grace. This attitude is aptly described in a translation made by the younger Seneca from a leading Greek Stoic, Cleanthes. The god addressed is Jupiter himself. Formal Latin poetry, such as that of Vergil, employed a language that had developed over the two centuries preceding the Augustan Age (see the time line on page xix). Despite changes in style, it remained the language used by subsequent poets, and we call it Latin poetic diction. It diverged somewhat from that of Cicero's speeches, which scholars have taken as the standard of classical Latin and have used as a convenient yardstick to describe the language of other writers, both of prose and verse. Latin literature was written in the shadow of Greek originals. The influence of the latter extended even to language, and Roman poets introduced constructions that were foreign to their native tongue. An example is the accusative of respect (§g 15 below), which is not found in Cicero but was used by Augustan poets and even by prose writers of the Silver Age, who affected a style tinged with poetic idiom. Latin poetic diction also differed from formal Ciceronian prose in its use of archaisms. In addition to individual words that had passed out of normal use, Latin poets employed word forms and modes of expression no longer current: obsolete forms such as the genitive plural deum (= deorum) (§G95 below), as well as points of syntax that reflect an earlier stage of the language. This is especially noticeable in certain case uses. In prose, for example, the use of the accusative to express motion toward is restricted to towns, small islands, and a few other words. In verse, however, it is used indiscriminately, and here, as elsewhere, poetic use reflects an earlier age when the accusative was regularly used in this way (§Gi3 below). Some words and forms were neither archaisms nor part of the language of Cicero's speeches. Within a limited range, poets could coin new words, such as squameus (scaly, from squama -ae scale + -eus; Vergil Georgics 2.154, 3.426). They could also use forms not accepted in educated speech, for example, the third-person plural, perfect indicative active ending -ere, which was a useful metrical alternative to the standard -erunt. Not all Latin poetry was formal. Poetry of an informal type is represented in this book by the plays of Plautus and Terence, Catullus' personal poems, Publilius Syrus' aphorisms, and Horace's Sermdnes. These authors wrote in a language close to the everyday speech of the educated, as exemplified in Cicero's letters. 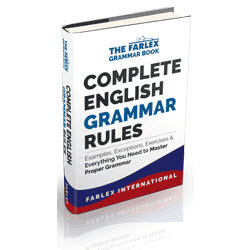 The grammar summary that follows will help you toward a full understanding of the poetry selections in this book. It deals mainly with syntax, that is, the ways in which words are combined to form sentences. We assume that you are familiar with the following points of grammar. It is important that you understand the following terms. € Sentence A syntactic unit that expresses a complete thought or action. It normally contains at least one main clause and may be either a statement, question, or command. G Clause A group of words forming a sense unit and containing one finite verb, for example, the Gauls feared Caesar and I disapprove of orgies at Baiae (the finite verb is in bold type). Clauses are divided into main clauses, which can stand on their own, and subordinate clauses, which cannot. Subordinate clauses are further divided into adverbial clauses, which function as adverbs in the sentence, adjectival clauses, which function as adjectives, and noun clauses, which function as nouns. C Phrase An intelligible group of words, none of which is a finite verb, for example, on the sea and Hannibal's blind eye. A phrase can be used by itself only in certain circumstances, such as in responding to a question. The grammar points are referenced by number in the notes to the selections, as follows. All examples, except those marked with an asterisk (*), are taken from the poetry selections. The Latin word or words that illustrate a particular use are italicized.